Until recently, additive manufacturing (AM) was thought to have value solely in prototyping new products or designs. Today, however, it is evolving into a game changing production technology. From medical implants to aircraft turbines – there is a wide range of potential applications for industrial 3D printed metal parts. Yet in spite of all the success stories, this industry is still in its infancy. The procedure can be optimized by detailed analysis of materials and process parameters. One important issue for quality assurance is powder characterization, because the powder bed fusion process requires the use of powders with very strict specifications concerning size, shape and material properties. Users can employ light and electron microscopes to conveniently inspect the quality of the metal powder in use. “In order to speed up these inspections, ZEISS has developed correlative techniques that bridge the gap between light and electron microscopy and give customers a better understanding of the material characteristics,” says Dr. Robert Zarnetta, who is responsible for Industrial Applications at the ZEISS Microscopy business group. The Oerlikon AG offers products and services around AM – from prototyping to the development of specific metal powder alloys to series production. Acting globally, the company has set itself the goal of driving the industrialization of AM. In its Munich-based Innovation and Technology Centre, Oerlikon gives attention to detail throughout the entire AM process chain – from initial research and development to final product inspection. “Using an analogy, to materials science AM is like discovering a new universe, and the microscopes are like the telescopes we need to explore it”, says Blanka Szost, Head of the Additive Manufacturing Competence Centre. To ensure that all AM components reach their desired geometric accuracy and specified mechanical characteristics, Oerlikon chose the following ZEISS microscopy and metrology solutions: 3D scanner ZEISS Comet 6, ZEISS Stemi 508 stereo microscope, ZEISS Smartzoom 5 digital microscope, ZEISS Smartproof 5 confocal microscope and ZEISS MERLIN field emission scanning electron microscope. The diverse characterization and measurement capabilities delivered by these solutions are enabling thorough study of material properties, allowing scientists to compile comprehensive data for verifying the quality of printed parts. There is a wide range of potential applications for industrial 3D printed metal parts. The complex procedure of additive manufacturing can be optimized by detailed analysis of materials and processes. 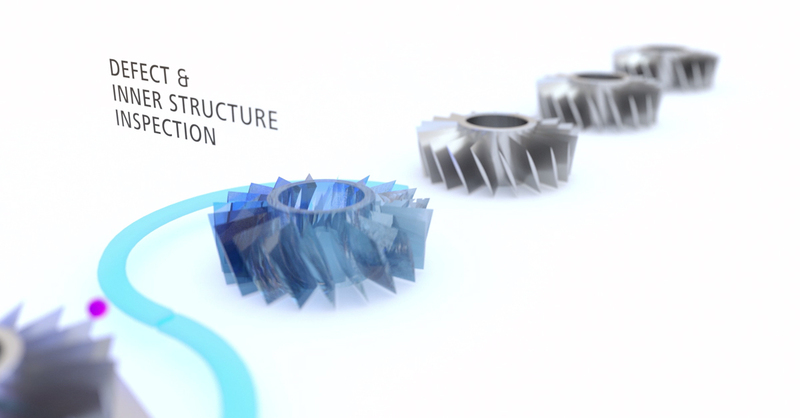 Microscopy and metrology solutions from ZEISS provide companies like Oerlikon with a more in-depth understanding of upstream and downstream 3D printing processes and enable their close monitoring.